The MIT Technology Review reports that scientists have produced a genetically modified rice strain that emits far less methane than traditional varieties. It emits one thirtieth as much in summer and half as much in winter. It does this because a single gene from barley has been inserted to make the plant yield 43% more grain per plant, so less carbon goes into the roots and the soil to be converted by microbes into methane. It is thanks to completely unwarranted scare stories from environmental groups that progress in genetic modification has been held back. Millions of children have suffered blindness or death because of opposition to 'golden rice' modified to biosynthesize beta-carotene, a precursor of vitamin A, to combat a shortage of dietary vitamin A in some areas. Millions more live at precarious subsistence levels because they are denied access to GM crops with enhanced yield or greater saline or drought resistance. 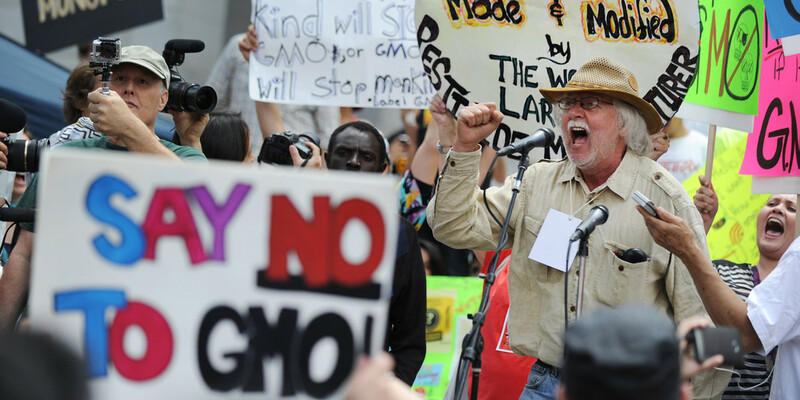 Innumerable field tests have failed to show adverse effects on humans, yet many in the environmental lobby campaign for all GMOs to be rejected. They do not hesitate to trample down experimental crops planted with the support of democratically elected governments. Many of the NGOs will undoubtedly oppose the new rice, despite its hugely increased yield and smaller environmental footprint. Scare stories are what they do, and they keep the subscriptions and donations rolling in.